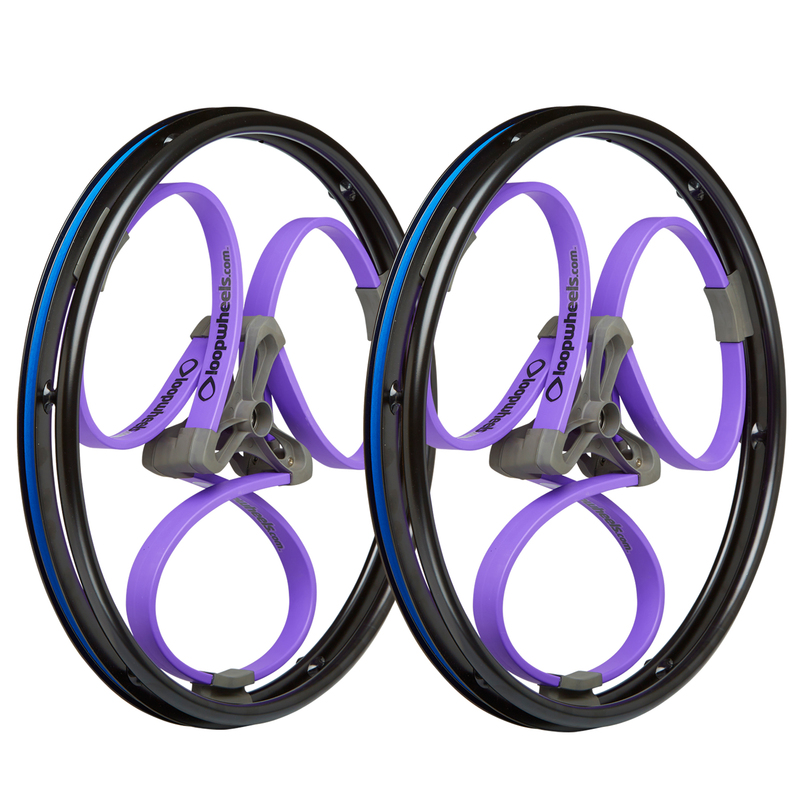 A pair of 24″ or 25″ shock-absorbing wheels for manual wheelchairs and active users. Choice of 6 bright colours, with black logos. Supplied ready fitted with black aluminium push rims, offset at either 19mm (wide) or 11mm (narrow) from the rim, or upgrade to more push rim options including the new beautifully designed range from CarboLife (Curve, Curve Large, Curve Grip, Curve Grip Large or Gekko).